Lucky Pierrot is a well-known Hakodate hamburger chain that was founded in the 80s. Japanese beef is something no meat-lover should miss while in Japan, but this time round I decided to try it in the form of a burger. Botak Jones – Damn good food at a damn good price? “Damn Good Food at a Damn Good Price” – everyone knows that slogan of Botak Jones, the heartlander’s authentic American food! 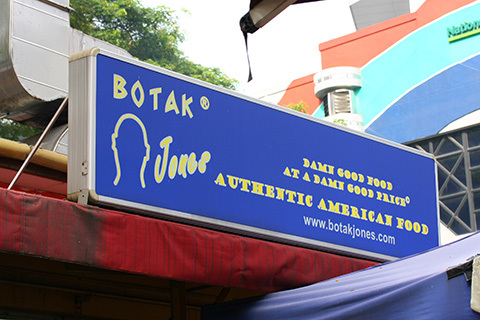 Opened by Bernie Utchenik, Botak Jones was one of the first ‘gourmet’ fast-food concepts to reach out into the heartlands at coffeeshops and deliver quality Western food to us. I have to say it worked out pretty well at that. 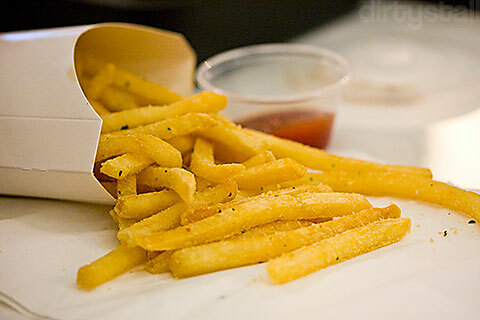 Would you like Everything with Fries? A few days ago I was invited to join in a food tasting session at Everything With Fries’s newly opened outlet at Orchard Central. I’ve always wanted to try out their food since I heard about their name because it was rather interesting – did they really serve everything with fries? 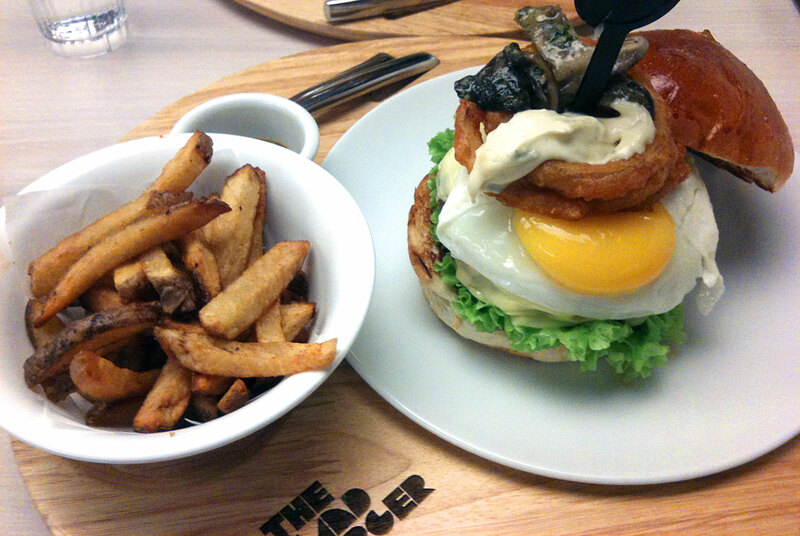 The Works Burger at the Hand Burger is what you would call throwing everything and the kitchen sink into 1 burger. Let me recount what’s in the burger: first of all, there’s a grilled 180g sirloin beef patty, then it’s topped (in order) with barbecue and aioli sauce, sauteed basil pesto mushrooms, beer-battered onion rings, bacon strips, sunny side up egg, cheddar cheese, lettuce, tomatoes, and finally toasted buns. I would say it’s worth trying at least once for the madness and combination of tastes but as a burger, I think I’d rather stick to the Botak Burger. Also, it’s practically impossible to eat as a burger.